The Cotton Mill in Raleigh is a unique residential property with close proximity to downtown Raleigh! Constructed in 1890 as a texture processing mill, it was converted in 1996 to 50 unique condos. It currently sits at 614 Capital Boulevard in Raleigh, NC. Loft conversions have gained popularity over the years, particularly in urban areas. Remodeling loft spaces can increase the value of the property and provide years of comfortable living! All condos feature high ceilings (14′-17′), and large windows providing an abundance of natural light and excellent views. Throughout the building are exposed timber beams that are well over a hundred years old. 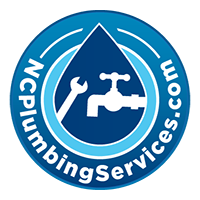 Our Customer purchased a unit where there was an outdated design as well as an incorrect layout of plumbing fixtures. 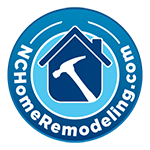 NCHomeRemodeling.com, a division of NCWaterHeaters.com, remodeled the bathroom to create a shower in a timeless design. The placement of the shower valve and wall mounted vanity, as well as the height of the glass shower enclosure, is specifically designed with his taller stature in mind. The existing floor remained. Changing out the light fixture and accessories with chrome finishes completes the new look! We love your projects, big or small. Whether you need design services, or a qualified team to work with your existing designer, we are here to help! No Replies to "The Cotton Mill Bathroom Remodel"